Our range of products include ahu-air handling unit. Keeping track of latest market development, we are actively engaged in offering wide gamut of AHU-AIR Handling Unit. Our offered air handling unit is manufacture in compliance with the international quality standards by utilizing the high quality components and modern technology. 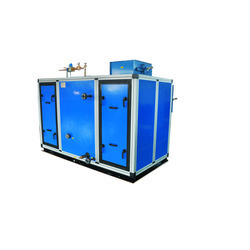 We offer this air handling unit in various stipulations at competitive rates. Looking for AIR Handling Units ?